Who doesn't know the story of Clark Kent aka Superman...? Well only a person living under a rock all this time for sure! He's the premier of all superheroes, something you gotta admit even if you're a Marvelite like me. After the letdown that was Iron Man 3, I was looking forward to Man of Steel the most. What did I think of it? Read on to find out. Everyone knows the story of Superman- how Clark Kent grows up to realize his destiny to become "the" American superhero, so I'll skip that part. 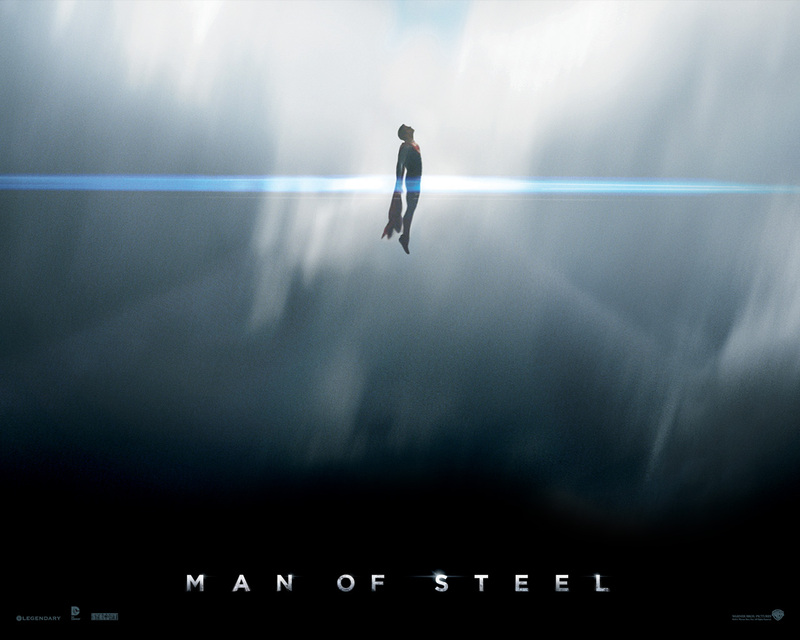 Director Zack Snyder does a brilliant job in taking the whole Superman mythos & grounding it in reality, influenced undoubtedly by producer Christopher Nolan's Dark Knight trilogy. There have been so many interpretations of this comic book character via TV shows & movies but this version will definitely stand out as being the most realistic, while still managing to include the fun element of the comic book world within it (something that I found seriously lacking in Nolan's first Batman film). I especially LOVED the camera work! The way the camera zooms right into the action you are meant to focus on, amidst everything else that may be going on. Even the way the zoom-in happens is very cool- it's given almost the same movement like that in which the Kryptonians in the movie fly. Now onto the actors. Henry Cavill. Man, this guy is hands-down THE best Supes ever! 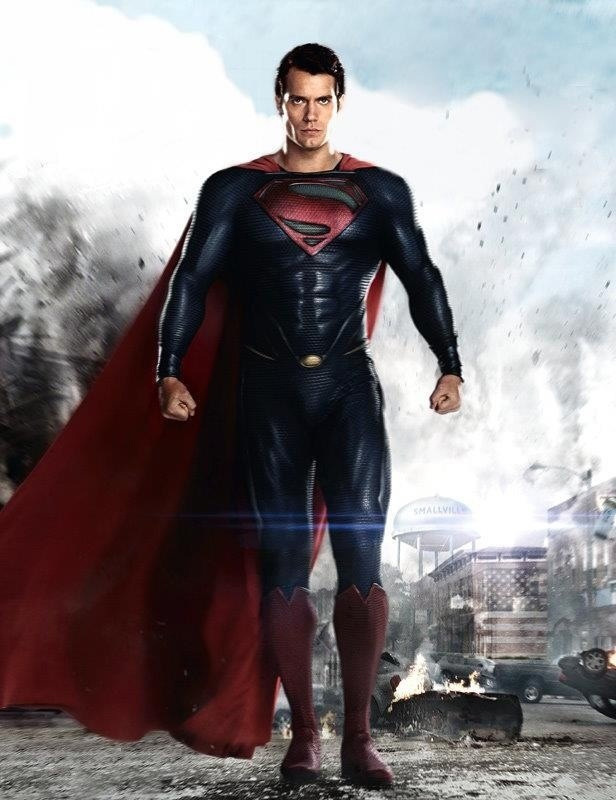 In my opinion, even Christopher Reeves would be second to him. Firstly, the physicality he has achieved for the role is amazing. That requires serious commitment & dedication to the role. He has great presence on screen, which is what you would expect from someone playing a near-invincible superhero. But the guy doesn't just have the look, he has the talent to back all that up. 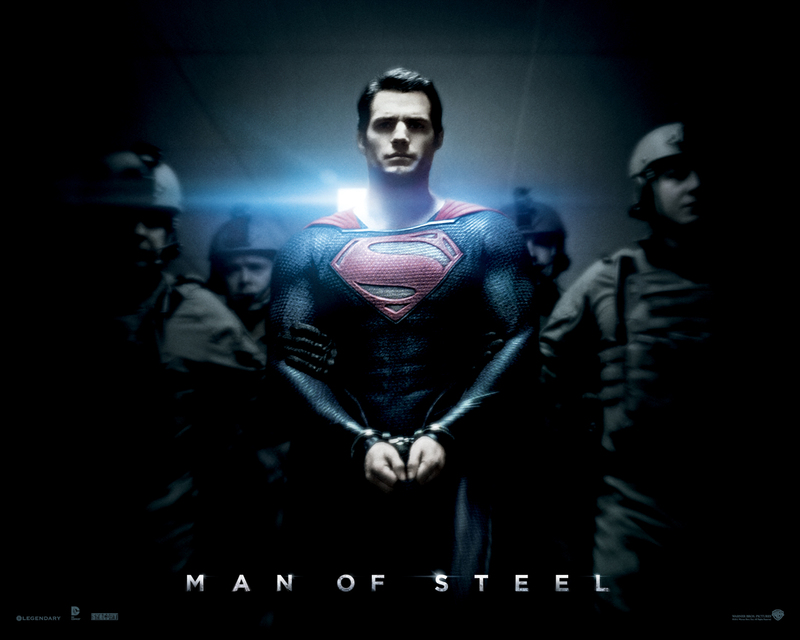 This is the first Cavill film I've ever seen & he really gets to the heart of the character. He portrays the emotions & the turmoil the character feels really well. I especially loved the sheer joy he experiences during his first flight. Also the deep regret he feels at the end when he has to do something he truly feels forced to do is another nice moment. 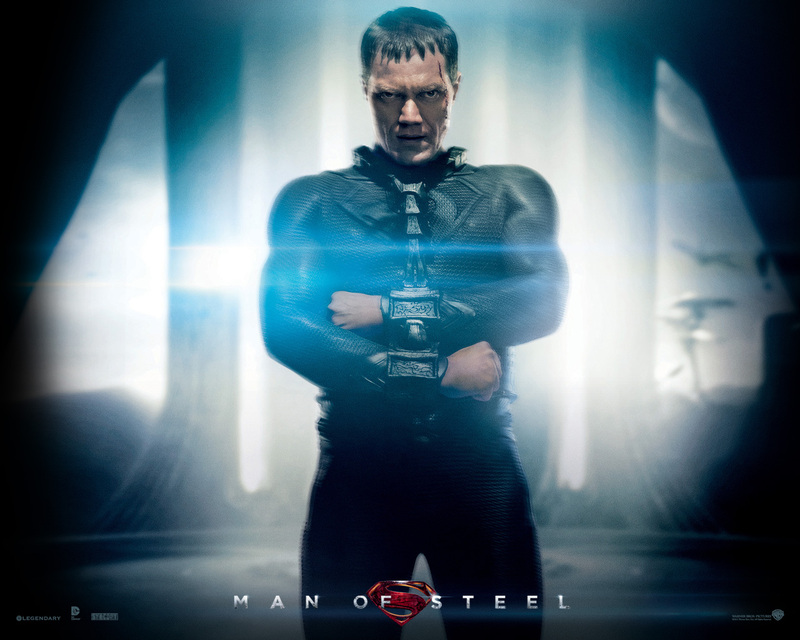 Michael Shannon also does a swell job as Superman's arch nemesis General Zod. He is menacing & shares a very interesting dynamic with both Cavill's Supes as well as Russell Crowe who plays Superman's father Jor-El. 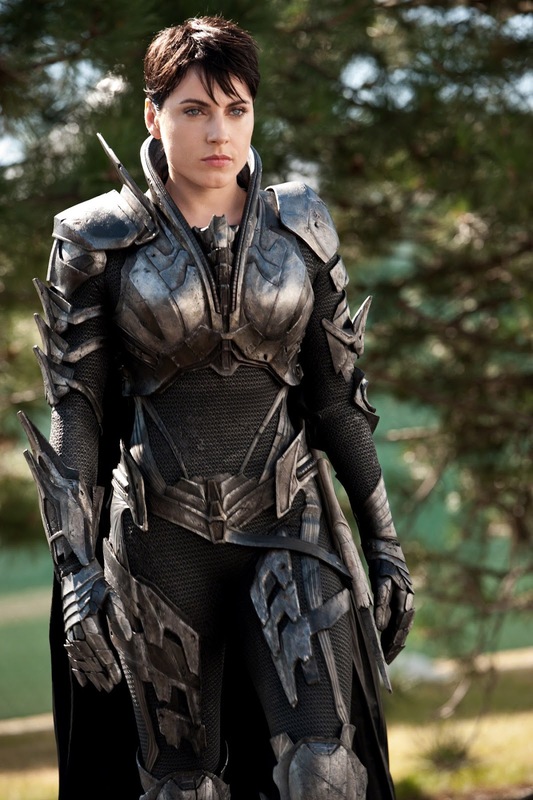 Antje Traue looks hot as hell as General Zod's Commander Faora-Ul. Her character has her own brand of badassery that at times seems to even surpass Zod's! She was my second favorite character in the film (following Superman, of course). Russell Crowe, Kevin Costner (Jonathan Kent) & Diane Lane (Martha Kent) all do well in their respective roles. Ayelet Zurer (Lara Lor-Van) didn't have much to do in the film however. Another actor who didn't have much to do in the film? Amy Adams (Lois Lane). Firstly I don't think anyone was ever happy with this casting choice. I however consoled myself cause she is a good actress after all. But none of her acting skills are really harnessed in the film. Even if they replace her with another actress for the next film I seriously doubt she'll be missed. Onto the action. That last battle between Supes & Zod? Now THAT is what a final boss battle in a comic book movie is supposed to feel like! All the fight sequences are well choreographed, aided by that zoom-in camera work earlier I mentioned about. And I absolutely LOVE all the action Faora got in this! There's this one scene with her which is just SO cool! The Visual Effects. Right from the Kryptonian landscape & elements to all the flight effects- every single VFX shot is just really well executed & adds to the whole impact of the movie, without ever taking your attention away from what's going on in the film. Also I want to add here about the way the Kryptonians' flight is depicted in this film. I love that hard-hitting movement in the flight, like they are actually flying with some force & energy. Also, Superman actually breaking the sound barrier in his first flight? Let's be honest, that excited all of us when we saw the movie's trailer for the first time. The costumes. Everyone had a problem about the red underpants being absent. Not me though. I love the redesign & I say- about time! The design is sleek, sophisticated & looks alien. The texture just adds to the whole alien look & feel. I also really love the redesigned "S" emblem- very elegant, modern & beautiful. General Zod & his entire crew's costumes look very impressive & imposing. Adding the breathing tube elements & helmets is a very nice touch. I also like Jor-El's costumes. 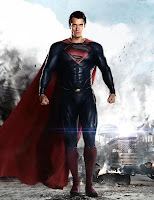 And is it just me or was the wetsuit that Jor-El strips down to seem like a hearkening to the classic Superman suit...? Lastly, about the religious undertones. At the heart of the comic book story itself is a very religious theme- Father sends his only son to earth to become a savior to its people. In this movie these themes have been more fleshed out. A reason why I have never liked Superman is because he is always portrayed as this perfect, near-invincible hero, a sort of "model" being for us mere humans to take as example. Here however, our hero isn't afraid to show his human side. He definitely has his vulnerabilities (besides Kryptonite). He has gone through all the trials that many of us have gone through as well. 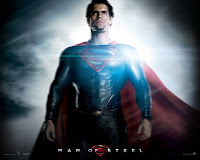 When he is at a crossroads in his journey, he consults a priest at a church- not really something you'd expect to see in a Superman movie, making him a lot more relatable, real & thus, interesting as a character. All in all, a beautifully made film. A well-built story with some brilliant dialogues aided by great direction & acting, splendid action & VFX, gorgeous costumes. The 3D didn't seem to really add much to the experience as a whole but that didn't bother me much at all. A solid 9/10 for me. I am definitely looking forward to sequels to this story & hope this gives the Justice League movie that final (& much needed & delayed) push it needs to go ahead with production. What did you'll think of the film? Do you'll agree with me or have a different point of view? Let me know in the comments. Watch out next for my review that will be of The Wolverine. MoS seems to have impressed everyone. Some of the other blogs I frequent have also praised it. Interestingly, they are also fans of the Marvel Cinematic Universe. I was not sure about the quality of the CGI work in the movie - In the trailers and TV Spots, I could make out some shoddy work. I have been a long time fan of Supes and Bats. I think the Christopher Reeves movies (1 and 2) and the Dark Knight Trilogy will be my favorite adaptations of the World's Finest. I meant Christopher Reeve* movies (1 and 2). I thought the VFX looked great. Where were the problem areas according to you...? And any other qualms about the film besides the VFX...? What would you rate it...? The fact that they had Supes kill someone is completely out of character for the iconic superhero. I would rate it 5/10. It was an amazing film and the cinematography was insane. Saying he's better than Reeve? I dunno. I was stunned by him killing Zod until I realized he did it in the second film, but not as explicitly. Crazy stuff and a good spoiler-free review. Many were stunned by that as well, but like I said that showed he isn't a goody-goody model hero. He also makes mistakes & even though he is an alien, he has that human element too. All this makes him more interesting. I haven't been able to go see anything in the theater for quite some time, but was definitely looking forward to this movie, so it was fun to read your impressions.